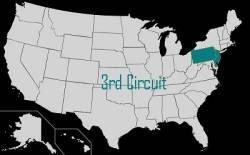 A Third Circuit U.S. Court of Appeals recent decision to suppress evidence in a criminal case obtained by placing a GPS-based tracking unit on a suspect’s van appears to strengthen the requirement for police to obtain warrants before taking such measures. Written by Judge Joseph A. Greenaway, Jr., the decision in the case of three Maryland brothers arrested in connection with burglaries of local pharmacies could put the issue back in the lap of the U.S. Supreme Court, which only last year address the issue of GPS-aided tracking in United States v. Jones. However, the case decided by the Third Circuit Court located in Philadelphia involved only a short-term surveillance and law enforcement authorities’ assertion that they acted on probable cause in “good faith” based on previous decisions by other courts. In a split decision — two judges in favor, one dissenting — the court ruled definitively and broadly against police use of GPS technology without a warrant. The court appeared to distinguish between a “search” and ongoing “surveillance” designed to discover evidence of a crime, deciding that the Maryland case represented the latter. Even though the police acted soon after the tracking unit was placed on the suspect’s vehicle, the judges said that police had no idea how long it would actually remain in place before they had cause to stop and search the vehicle. The decision also concluded that GPS technology is different in “kind, not degree” from another form of electronic tracking involving radio transmitters — so-called beepers — and, therefore, Fourth Amendment–related court rulings on evidence gathered by the latter means did not apply to GPS-related searches.